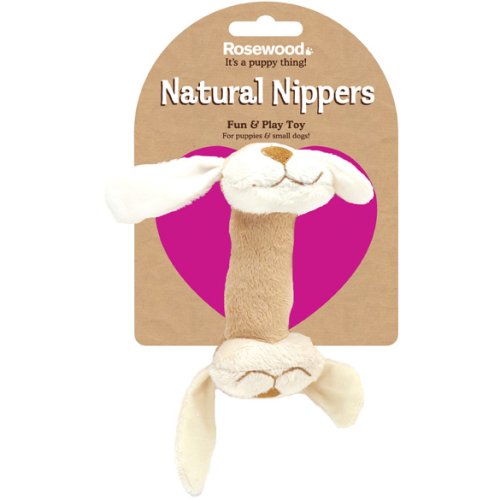 Rosewood Natural Nippers Cuddle Plush toy is ideal for small dogs and pups. Perfect for comforting it’s super soft, and features a plush dog head at either end. For added fun, this toy also rattles when shaken or tossed! This is a quality toy, suitable for chasing and retrieving games, as well as snuggling up too. Measurements: H:16cm x W: 17cm.